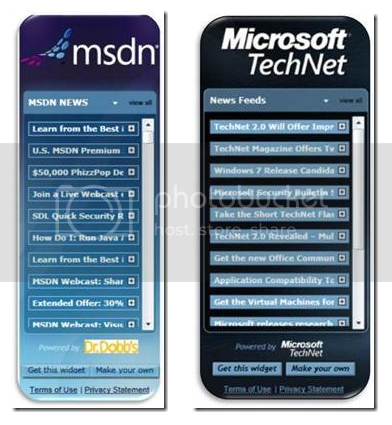 Thread: Version 2 of the TechNet Widget and MSDN Widget are live! The Widgets pull the latest RSS feeds from TechNet and MSDN and offer selections from videos, webcasts, podcasts, TechNet/MSDN Magazines, and TechNet/MSDN Flash. This allows website owners and bloggers to obtain the latest technology content immediately and automatically.